Liteye Systems’ role as integration and support partner grows to include local manufacturing as well as development and customisation of the AUDS counter-UAS platform; AUDS mobile trailer platform developed by Liteye for rapid deployment purposes to support national security applications. AUDS (Anti-UAV Defence System) with DroneLondon, UK, and Centennial, CO, USA, 14 June, 2016 - The British team that created AUDS (Anti-UAV Defence System), the world’s first production-ready and fully integrated counter-unmanned aircraft system (C-UAS) has extended its exclusive partnership in North America with Liteye Systems, Inc, in Centennial, Colorado. Liteye has been leading the AUDS sales drive in the USA and Canada since the beginning of 2015 as the exclusive integration and support partner for the region. However, as interest in the AUDS system has grown, and following multiple government-sponsored trials, the partnership agreement has now been extended to include local manufacturing as well as local development and customisation of the AUDS platform. Mark Radford, speaking for the AUDS team, said: "We have worked with Liteye for a number of years now and it has become an invaluable part of the AUDS group. We are delighted to now extend our strategic partnership with the company. We believe there is huge potential for our system in the North American market and Liteye’s selection by the FAA for US airport trials (see link to Liteye’s FAA release below) is testament to both the system’s capabilities and their hard work. Liteye has the knowledge and skills to manufacture, support and develop the AUDS platform for the US and Canadian markets and to provide full customisation where needed." Liteye will be responsible for manufacturing and supporting major components of AUDS including the radar, turret, thermal camera system, inhibitor and command and control (C2) system. Liteye will also be involved in designing and manufacturing the various platforms necessary to support a diverse range of end-users within the North American market. This will include the military, critical infrastructure providers such as airport operators, and other government agencies. "Liteye is already providing development effort for US-specific C-UAS programs allowing us to integrate AUDS into and alongside other military and government assets," added Mark Radford. "We have also worked with their engineers to enhance our system’s detect-track-disrupt-defeat capabilities by integrating a new ‘friendly asset’ into the platform. This allows us to use a drone as part of the AUDS remote observation and enforcement capabilities providing the ability to search out enemy UAS operators." 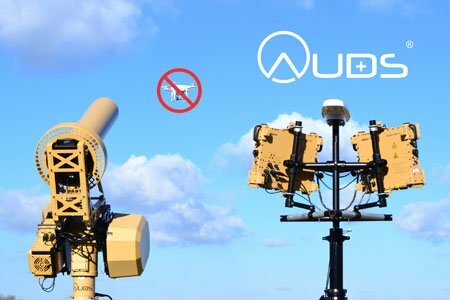 AUDS (Anti-UAV Defence System) on TowerThomas Scott, president of Liteye Systems, said: "We are proud to be spearheading the AUDS North American operation to establish this highly effective counter-UAS system in the US and Canadian markets. Over the last 18 months, Liteye with AUDS has been at the cutting edge of counter-UAS development in this region, witnessing the proliferation of UAS use, both the bad and the good, from the front row. We are excited to expand our relationship with our UK partner companies in developing capabilities to meet this growing challenge." "The AUDS production-ready system is field proven in multiple trials to detect, track, identify, disrupt and defeat a wide range of unmanned systems – day and night whatever the weather," added Thomas Scott. "And our new AUDS mobile trailer platform – an example of our integration capabilities - was developed and built at our Colorado site for rapid deployment purposes in national security applications and is already receiving much interest." Liteye’s ‘AUDS 360 Trailer’ system features a fully integrated AUDS system comprising Blighter Surveillance Systems’ 360° fully electronically-scanned A400 radar system, Chess Dynamics’ precision turret with thermal camera system, and Enterprise Control Systems’ directional multiband RF inhibitor system. This is a robust, go-anywhere rapid deployment system typically of the type used by the military. Other configurations of AUDS include a portable, quad-pod mounted rapid-deployment package and a fixed system that is compact enough to be installed on rooftop locations, remote masts or even on the ground. 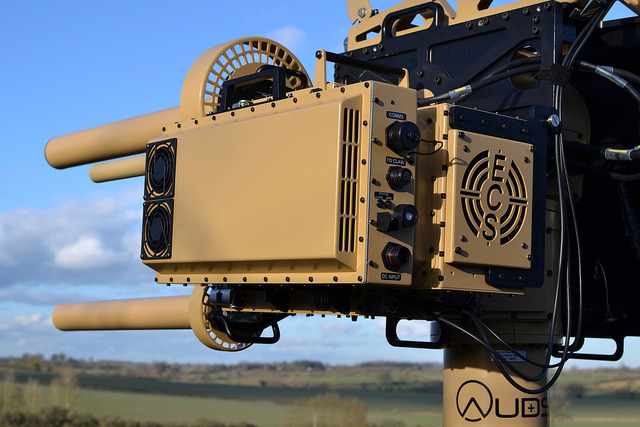 The AUDS counter-UAS system was developed by a trio of British companies including Blighter Surveillance Systems, Chess Dynamics and Enterprise Control Systems. AUDS can detect a drone six miles (10km) away using electronic scanning radar, track it using precision infrared and daylight cameras and specialist video tracking software before disrupting the flight using an inhibitor to block the radio signals that control it. This detect, track, disrupt, defeat process is very quick and typically takes 8-15 secs. Using AUDS, the operator can effectively take control of a drone and force a safe landing or send it back home. 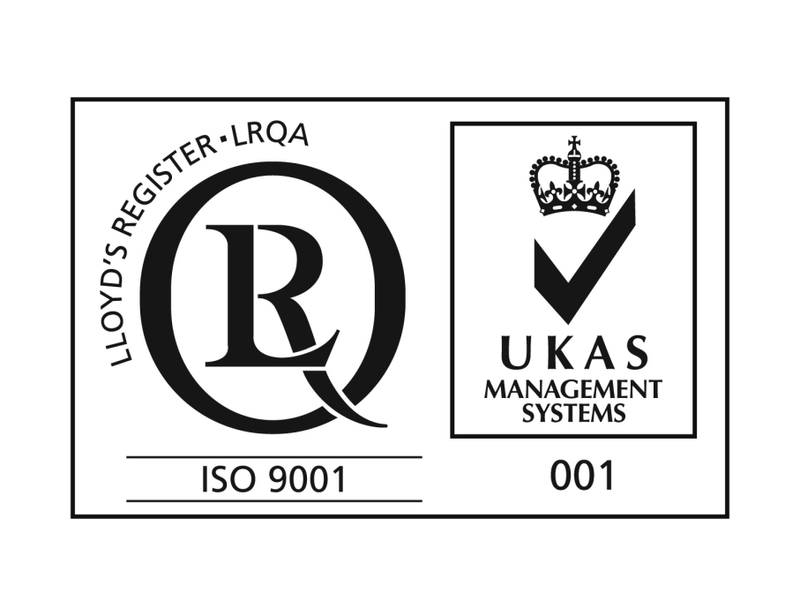 For more information about AUDS, please contact any of the partner companies: Enterprise Control Systems Ltd, Blighter Surveillance or Chess Dynamics. For North America, contact Liteye Systems: visit www.liteye.com, telephone Kenneth Geyer at +1 720-974-1766 ext. 155 or email kgeyer@liteye.com.